This is an extended version of a review I posted on Goodreads this morning. I bought my copy online and if you’ve read this book, please let me know what you think – I always like to hear your opinions! Cider: Making, using & enjoying sweet & hard cider, 2003 (1980) 3rd Edition, by Annie Proulx and Lew Nichols, Storey Publishing, MA. 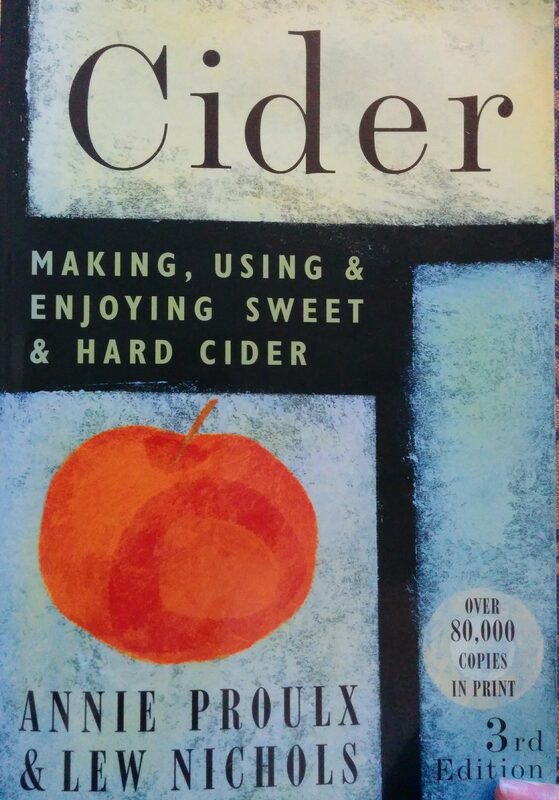 This is possibly the most informative and inspiring book on cidermaking I’ve ever come across. Admittedly, it’s aimed at North American readers, but I still found plenty of fascinating and relevant information that I can adapt and use on the other side of the world in Tasmania AU. I picked this up online and secondhand, but why anyone with even a passing interest in all things cider would part with it is beyond me! My intention was to use it as a reference book, something to dip into as I needed to look particular things up, but it’s incredibly well written and readable – I found myself engrossed in the text and really couldn’t put it down. Yes, there’s probably a good deal about things I’ll likely never need to use, aimed at orchards on an acreage. At the moment on my little urban farm, I have four dwarf sweet multipurpose apples, a baby Huon Crabapple (all in tubs because of space limitations) and at most, I’ll probably expand it out to ten dwarf trees with cider varieties. So it’s highly unlikely I’ll ever have the need or inclination to learn how to set up and care for large wooden barrels. After reading this book though, I can see the benefit of a small cider press for future crops. The bottom line is, I was fascinated with the information and how it was delivered. Annie Proulx is one of my favourite fiction writers and I think her influence and love of the subject makes the text flow. Lew Nichols is a professional cider maker and his understanding of the science shines through. And it should be noted there is a quite a lot of science in this book, but it’s written in a way that’s accessible and easily understood by anyone with even the merest grounding in high school chemistry – notably me! The diagrams and charts are relevant, practical and well connected to the text, and many of the old photographs and illustrations are really lovely to look at. Reading the acknowledgements shows they sourced information from many specialists across a wide range of disciplines. Despite there being a number of reviews on Goodreads about how irrelevant this book is to backyard cider makers, I beg to differ. 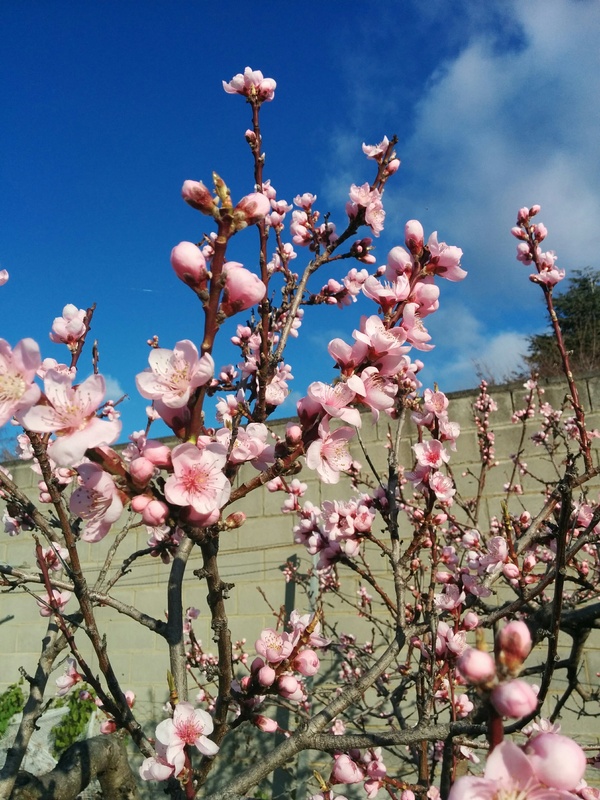 As an occasional maker of perry, cider, apple cider vinegar and fruit wine, I found a tremendous amount of information here that is very relevant to me, and it’s given me ideas of how to improve my brewing and horticultural practices. Meanwhile, I’m not doing any of the things I thought I would this weekend. Instead of going to the movies today, I’ve been distracted by books, most particularly ‘Carmilla’ by Sheridan Le Fanu that I’ve been reading for my current university unit about Gothic and speculative fiction. It’s a small volume that was originally published as a serial in The Dark Blue in 1871-2 and is reputed to have influenced Bram Stoker when he was writing ‘Dracula’. I’ve found it incredibly entertaining and I’m well into my second reading now. It contains all the classic tropes of Gothic fiction, an isolated, motherless heroine living in an old castle far removed from society. She yearns for a companion, a friend of similar age to her – and then Carmilla arrives in dramatic fashion into the story! The attraction between the two girls is well written and it’s at times surprisingly terrifying. 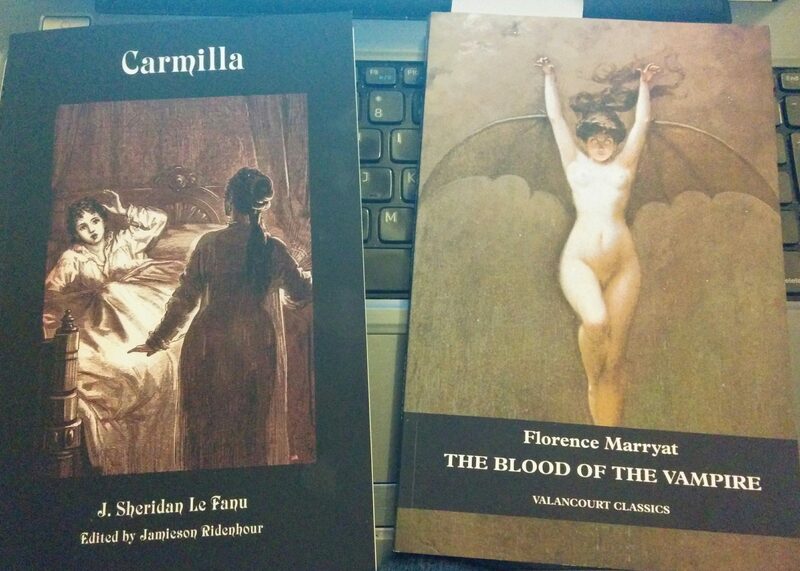 In tandem, I’ve also been reading ‘The Blood of the Vampire’ by Florence Marryat, (which sports one of the best covers ever) and while it’s a great read, it doesn’t have the same levels of tension that Le Fanu manages. Interestingly, I found Marryat’s characters far more believable and real (for want of a better term) than La Fanu’s and I think that might be part of Carmilla’s charm. The whole story has a dreamlike quality that’s very hard to pull off, and I think it’s one of the elements that makes ‘Carmilla’ such an enduring work. Both of these titles are available through Valancourt Classics and (naturally) I bought mine from Cracked and Spineless in Hobart. Maybe tomorrow I’ll get some gardening done (it’s been too wet and cold to do much this past week) and hopefully, the soil will start warming up and I can start planting for summer. I’ve been off with study/work commitments for the last month or so but I’ve been reading some interesting bits and pieces and watching a lot of films in between. Here’s a short review of a book I only finished last night and published on Goodreads. I’m a fan of Kermode and Mayo’s podcast and currently doing a major in Screen Studies at university. While I’ve read a lot of academic papers about the topics covered here (including the death of celluloid and projectionists, the rise of automated multiplex cinemas and 3D, the roles and functions of film critics and how bad is Michael Bay) it was great to read something less formal and more passionate about the current state of cinema. Yes, Mark Kermode is incredibly opinionated and renowned for his on air rants but he seems to be well aware of his own shortcomings, which I find refreshing. (This is particularly well noted in the final section, “American Without Tears” about the constant English language remakes of perfectly fine foreign language films). His style is conversational, a little rambling, includes some language he can’t use on air, and quite often laugh-out-loud funny (passing Dr Kermode’s own “6 laugh test” he imposes on screen comedies). If you are interested in film give this a try – it’s really good entry level fodder to screen studies and one man’s journey in film criticism. I loved it but as Kermode often says, “other opinions are available”! Have you read this book? If so, I’m interested to hear what you thought too. The Tourist isn’t an easy book to review but it isn’t an easy book in any way, shape or form. It requires the reader to commit, pay attention and hold multiple story threads while offering a dark outlook on the future (and near future) of the human race. While this novel has sharply divided people, I really wonder what the naysayers expected with something that is clearly promoted as speculative fiction involving time travel. I can especially understand the comparisons to books like David Mitchell’s Cloud Atlas but I think The Tourist is actually easier in some respects and in many ways, far darker. As a fan of speculative and science fiction, I wasn’t put off by the time travel aspects but this is a really good thriller as well. I found myself swept along and quite invested in Spens’ story in particular very quickly. Be warned however, this isn’t a cheerful reading experience and can be quite bleak, but Dickinson’s writing is really very good and that’s what carried me through. It isn’t the best book of 2016 but it is better than many. The ending is a little messy and feels rushed but I wonder if that was intentional, as the lines converge. Linear storytelling is great, but sometimes I yearn for something that demands more of me than just my time and the suspension of my scepticism and disbelief. The Tourist offers that in large doses and I found it a very immersive and well crafted ride. I’m so pleased I read this book! 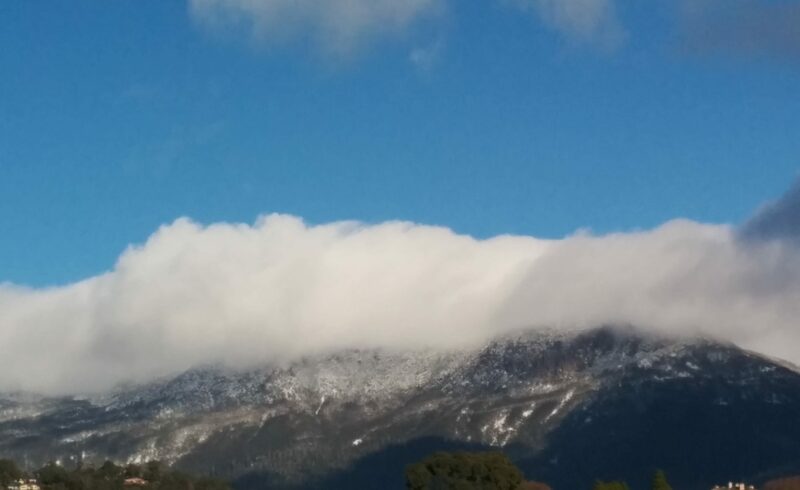 As a fan of good historical fiction, this had the added bonus of being mostly set where I live (kunanyi/Mt Wellington is outside my door) and some of my friends (including my local bookseller) had been taught by Livett when she was lecturing at UTAS. The use of Booth and Harriet to act as dual narrators is a really good tool for providing depth to the story and defining boundaries of the 19th century world, but it became a little one-sided for most of the middle section. I found Booth’s narrative a good balance and really would have liked more of it, though I can understand why Harriet’s voice took precedence. The treatment of native inhabitants is touched upon but not really examined, which is also understandable given the background and narrative voices used. While I would have liked more on that topic, it would have made a very different book if Livett had taken that route. There are certainly echoes of Emily Bronte’s Jane Eyre and Jean Rhys’ Wide Sargasso Sea (a book I love) and I did appreciate the historically accurate depictions of Hobart, Franklin’s tenure. In general, Livett’s treatment of the Franklin’s is very sympathetic. In particular, I liked her depiction of Jane amid the prevailing attitudes to women at that time. Jane must have been a terrifying modernist presence to many of the male inhabitants of Hobarton! Overall, this is a well-researched, finely written novel and for anyone interested in Australian (and particularly Tasmanian) colonial history, highly recommended. After our short blast of summer, today was wet and surprisingly cool. So I went into the city and cleared my holds and lay-by at Cracked & Spineless New & Used Books. And I’ve spent the rest of the day reading and trying not to drool over my bounty! As I’m sure many of you know, I’m a huge fan and student of cinema. I love the history and culture that surrounds and informs it, particularly the pop culture source material that cinema draws from. 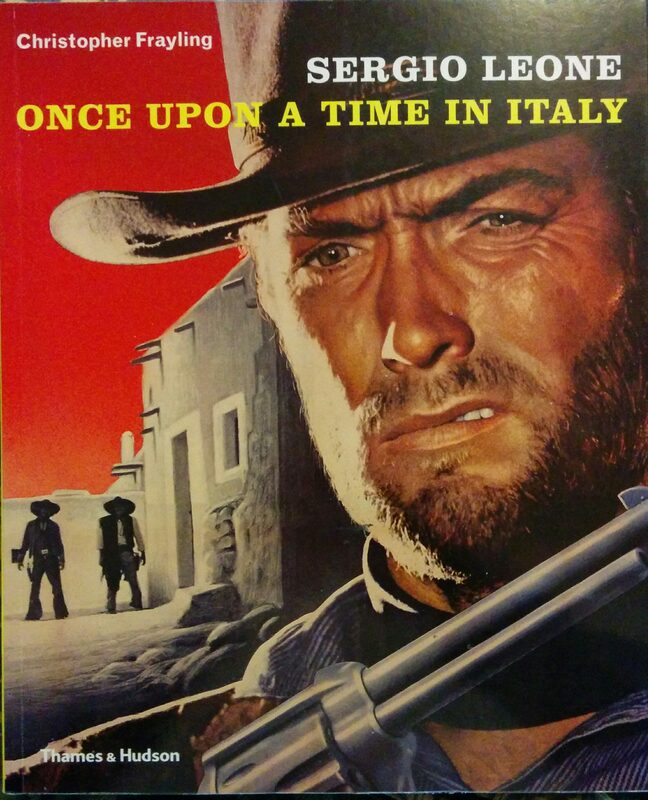 As a child of the 60’s, I grew up watching Sergio Leone spaghetti westerns, so when Richard showed me this secondhand treasure today I really had to get it! Sir Christopher Frayling is an academic and educator, and has written widely about pop culture. His style is scholarly but very accessible, something that’s often lacking in these kind of titles. But it’s obvious the man loves his work. I think I first came across him back in the late 90’s with a wonderful documentary and book Nightmare: The Birth of Horror. 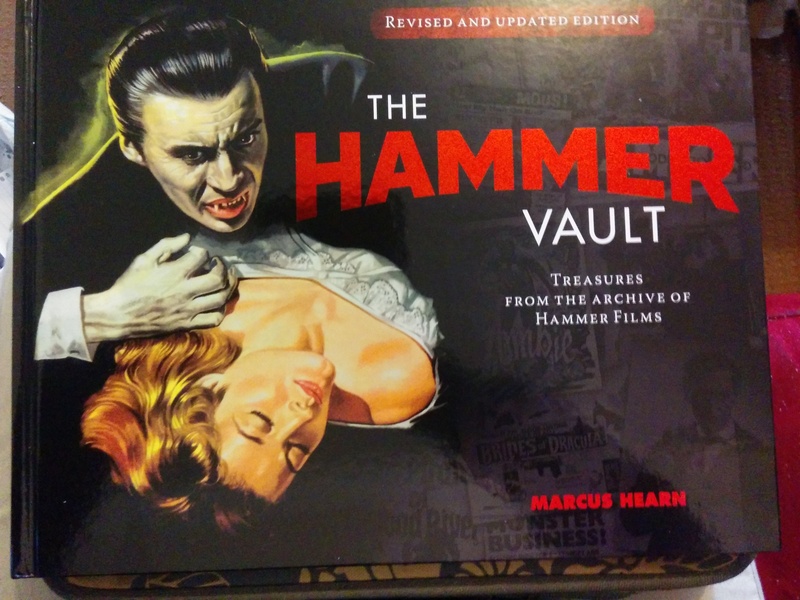 Speaking of which, I also picked up today the revised edition of The Hammer Vault by Marcus Hearn. This is a stunning collection of (often rare) artifacts from Hammer films, such as annotated script pages, unused promotional artwork, rare still shots and even private correspondence. The revised edition includes recent productions, including The Woman in Black (2012) which is a really lovely, old school Gothic horror film that is worth watching if only for a really fine post-Harry Potter performance from Daniel Radcliffe. And finally, there was this beastie! 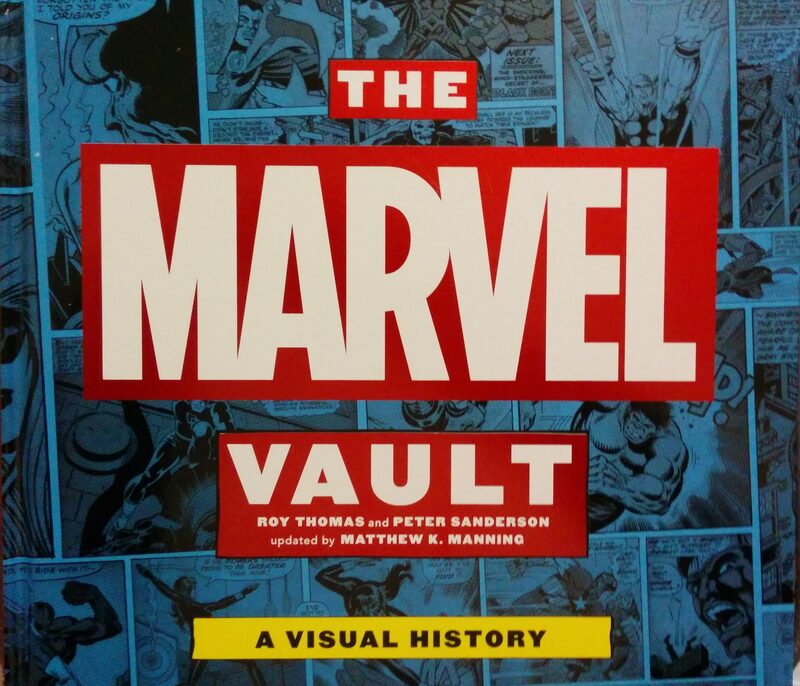 This book goes right back to the very beginnings of Marvel and it’s really fascinating to see how some of the enduring characters have changed over time. Equally, it’s fascinating to note how many of the essential traits of characters such as Luke Cage, Steve Rogers and Tony Stark have made their way across to the movies. Recently, I went to see Doctor Strange (2016) and was thrilled that the production designers took note (and really paid homage to) the psychedelic and surreal artwork of Steve Ditko. I think this book is a gem for anyone who loves pop culture history and comic books. Also, it really underlines how much the comics have informed the production values in the Marvel Cinematic Universe.